Khalid Zerkani is a Moroccan recruiter, facilitator, and propagandist who is serving a 15-year-sentence in Ittre prison in Belgium on terrorism-related charges. Zerkani is known in Belgium as the “greatest jihadist recruiter that has ever been seen” in the country.Agence France-Presse, Associated Press, Reuters, “Derrière les attentats de Paris et Bruxelles, l'ombre du prédicateur Khalid Zerkani,” Le Figaro (Paris), April 11, 2016, http://www.lefigaro.fr/actualite-france/2016/04/11/01016-20160411ARTFIG00144-derriere-les-attentats-de-paris-et-bruxelles-l-ombre-du-predicateur-khalid-zerkani.php. Forty-two years old and portly, Zerkani has also been nicknamed “Papa Noel,” in part due to his appearance and in part due to his reputation for handing out money to young people as a recruiting tactic.Andrew Higgins and Kimiko de Freytas-Tamura, “A Brussels Mentor Who Taught ‘Gangster Islam’ to the Young and Angry,” New York Times, April 11, 2016, http://www.nytimes.com/2016/04/12/world/europe/a-brussels-mentor-who-taught-gangster-islam-to-the-young-and-angry.html. In Zerkani’s July 2015 sentencing, Belgian judges blamed him for propagating “extremist ideas among the naïve, fragile and agitated youth,” and referred to him as the “archetype of a seditious mentor.”Andrew Higgins and Kimiko de Freytas-Tamura, “A Brussels Mentor Who Taught ‘Gangster Islam’ to the Young and Angry,” New York Times, April 11, 2016, http://www.nytimes.com/2016/04/12/world/europe/a-brussels-mentor-who-taught-gangster-islam-to-the-young-and-angry.html. Zerkani has been successful at luring recruits to extremism and terrorism, and has been tied to several notorious ISIS operatives who carried out the deadly November 2015 attacks in Paris and the March 2016 attacks in Brussels.Roy Mulholland, “Arrested new suspect ‘close associate of Father Christmas recruiter,’” Telegraph (London), March 22, 2016, http://www.telegraph.co.uk/news/worldnews/europe/belgium/12204399/Brussels-terror-attacks-metro-airport-suspects-live.html. Zerkani has also served as a facilitator for foreign fighters to Syria, and has been linked to at least one thwarted terrorist attack in Europe. Zerkani is known to have tailored his recruitment toward criminals and Moroccan-Europeans in particular. Many of Zerkani’s recruits have passed through the notorious Brussels suburb of Molenbeek, where Zerkani himself was based.Andrew Higgins and Kimiko de Freytas-Tamura, “A Brussels Mentor Who Taught ‘Gangster Islam’ to the Young and Angry,” New York Times, April 11, 2016, http://www.nytimes.com/2016/04/12/world/europe/a-brussels-mentor-who-taught-gangster-islam-to-the-young-and-angry.html. Belgian news outlet La Dernière Heure (DH) has tallied at least 22 jihadist-linked individuals who are believed to have had links to Zerkani.“La galaxie Zerkani : 22 djihadistes jugés à Bruxelles sont dans la nature,” La Dernière Heure (Brussels), March 26, 2016, http://www.dhnet.be/actu/faits/la-galaxie-zerkani-22-djihadistes-juges-a-bruxelles-sont-dans-la-nature-56f5aded35702a22d5bbf860. Zerkani’s role in European extremist recruitment has come to the forefront since the March 2016 ISIS attacks in Brussels, when it emerged that at least two of the suspects were linked to Zerkani. It was discovered that Zerkani also had ties to terrorists who carried out the November 2015 ISIS attacks in Paris, and at least 18 foreign fighters who traveled to Syria. Among Zerkani’s suspected recruits are November 2015 Paris attacks suspects Abdelhamid Abaaoud and Salah Abdeslam, as well as March 2016 Brussels bomber Najim Laachraoui.Andrew Higgins and Kimiko de Freytas-Tamura, “A Brussels Mentor Who Taught ‘Gangster Islam’ to the Young and Angry,” New York Times, April 11, 2016, http://www.nytimes.com/2016/04/12/world/europe/a-brussels-mentor-who-taught-gangster-islam-to-the-young-and-angry.html. Brussels attacks suspects Mohamed Abrini has also been linked to Zerkani. According to security officials, Abrini’s younger brother Souleymane traveled to Syria with Zerkani’s help.Andrew Higgins and Kimiko de Freytas-Tamura, “A Brussels Mentor Who Taught ‘Gangster Islam’ to the Young and Angry,” New York Times, April 11, 2016, http://www.nytimes.com/2016/04/12/world/europe/a-brussels-mentor-who-taught-gangster-islam-to-the-young-and-angry.html. In April 2016, Belgium launched a prison experiment to quarantine extremist inmates. The experiment separates four—as opposed to the originally planned 20—inmates from the general prison population.“Zerkani, mentor belge du djihad, inaugure l’aile de la prison d’Ittre sur fond de préavis de grève,” La Libre (Brussels), April 12, 2016, http://www.lalibre.be/actu/belgique/zerkani-mentor-belge-du-djihad-inaugure-l-aile-de-la-prison-d-ittre-sur-fond-de-preavis-de-greve-570c953935702a22d64d0ab1. Among the four inmates is Zerkani, who was moved in April from Forest prison to the quarantined area in Ittre prison under high security conditions.“Zerkani, mentor belge du djihad, inaugure l’aile de la prison d’Ittre sur fond de préavis de grève,” La Libre (Brussels), April 12, 2016, http://www.lalibre.be/actu/belgique/zerkani-mentor-belge-du-djihad-inaugure-l-aile-de-la-prison-d-ittre-sur-fond-de-preavis-de-greve-570c953935702a22d64d0ab1. According to reports, Belgian authorities worked to expedite the prison experiment specifically in order to prevent contact between Abrini and Zerkani.“Zerkani, mentor belge du djihad, inaugure l’aile de la prison d’Ittre sur fond de préavis de grève,” La Libre (Brussels), April 12, 2016, http://www.lalibre.be/actu/belgique/zerkani-mentor-belge-du-djihad-inaugure-l-aile-de-la-prison-d-ittre-sur-fond-de-preavis-de-greve-570c953935702a22d64d0ab1. In addition to suspects in the Paris and Brussels attacks, Zerkani has been linked to high-level al-Qaeda operatives in Syria like Syrian Fatima Aberkan, who was tried with her family alongside Zerkani in 2015. Some have posited that it was Zerkani’s connections to Aberkan that first ingratiated him with ISIS’s leadership, enabling Zerkani to serve as a proxy for the terrorist group’s activities in Europe.Andrew Higgins and Kimiko de Freytas-Tamura, “A Brussels Mentor Who Taught ‘Gangster Islam’ to the Young and Angry,” New York Times, April 11, 2016, http://www.nytimes.com/2016/04/12/world/europe/a-brussels-mentor-who-taught-gangster-islam-to-the-young-and-angry.html. Zerkani’s links to terrorist networks run much deeper than ties to the Brussels or Paris attackers, and the full extent of his influence has not yet been determined. For example, Zerkani was revealed to have links to Reda Kriket, a suspected extremist arrested in France in March 2016 in connection to a thwarted attack. Kriket had previously lived with Zerkani in Molenbeek.Andrew Higgins and Kimiko de Freytas-Tamura, “A Brussels Mentor Who Taught ‘Gangster Islam’ to the Young and Angry,” New York Times, April 11, 2016, http://www.nytimes.com/2016/04/12/world/europe/a-brussels-mentor-who-taught-gangster-islam-to-the-young-and-angry.html. 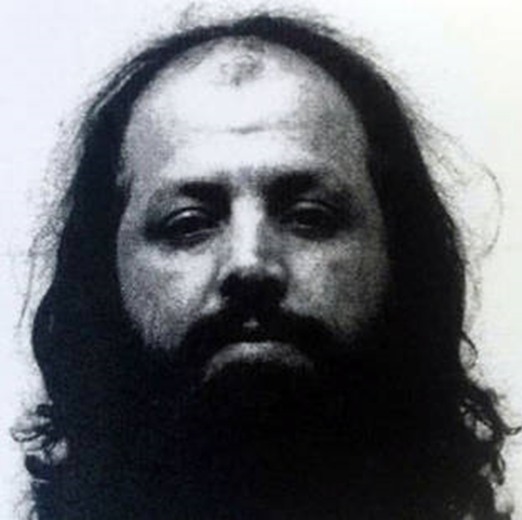 Zerkani appears to have specialized in recruiting criminals to jihadism, and is himself believed to have supported himself through criminal acts before acting as a recruiter and propagandist for ISIS.Andrew Higgins and Kimiko de Freytas-Tamura, “A Brussels Mentor Who Taught ‘Gangster Islam’ to the Young and Angry,” New York Times, April 11, 2016, http://www.nytimes.com/2016/04/12/world/europe/a-brussels-mentor-who-taught-gangster-islam-to-the-young-and-angry.html. Indeed, many of the suspected extremists in Zerkani’s network have criminal records, including March 2016 Brussels suspect Ibrahim el-Bakraoui and November 2015 suspects Salah Abdeslam and Abdelhamid Abaaoud.Andrew Higgins and Kimiko de Freytas-Tamura, “A Brussels Mentor Who Taught ‘Gangster Islam’ to the Young and Angry,” New York Times, April 11, 2016, http://www.nytimes.com/2016/04/12/world/europe/a-brussels-mentor-who-taught-gangster-islam-to-the-young-and-angry.html. “Papa Noel” (Father Christmas)Roy Mulholland, “Arrested new suspect ‘close associate of Father Christmas recruiter,’” Telegraph (London), March 22, 2016, http://www.telegraph.co.uk/news/worldnews/europe/belgium/12204399/Brussels-terror-attacks-metro-airport-suspects-live.html. “Santa Claus”Andrew Higgins and Kimiko de Freytas-Tamura, “A Brussels Mentor Who Taught ‘Gangster Islam’ to the Young and Angry,” New York Times, April 11, 2016, http://www.nytimes.com/2016/04/12/world/europe/a-brussels-mentor-who-taught-gangster-islam-to-the-young-and-angry.html. Khalid Zerkani is a Moroccan recruiter, facilitator, and propagandist who is serving a 15-year-sentence in Ittre prison in Belgium on terrorism-related charges.